2019 Regional Results are linked on the Regional page for each city. As a family-orientated dance competition company, we strive to create a fun, welcoming, exciting, and encouraging environment for all dancers looking to compete. We want all of our competitors to walk away from this experience with a smile on their face and a fire in their hearts to come back and do even better next year. Below we have listed the final results of past regional and national dance competitions. 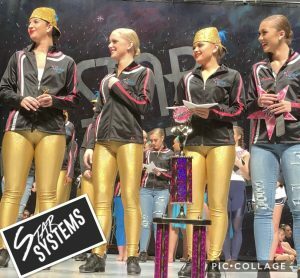 Our mission at Star Systems is to be role models for all of our dancers who come from a variety of backgrounds. We encourage all dancers to do their best and to not compare themselves to other dancers. We ask that studio owners, choreographers, and families help us to promote this mission at our competitions. That said, we offer our sincere congratulations to the great dancers who worked hard to place at these competitions. Feel free to take a look, and be sure to register for a local dance competition to see your name on one of these lists soon!